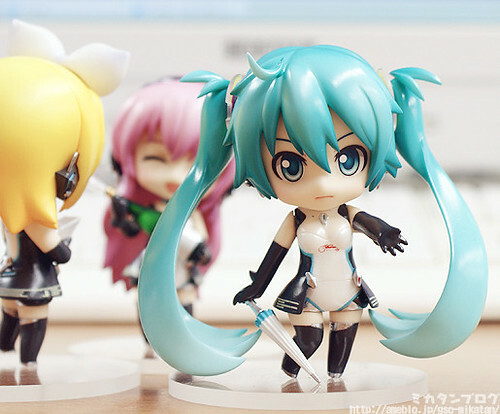 We are currently running a special Twitter campaign as a part of the recent announcement for Nendoroid Petite: Hatsune Miku Selection. 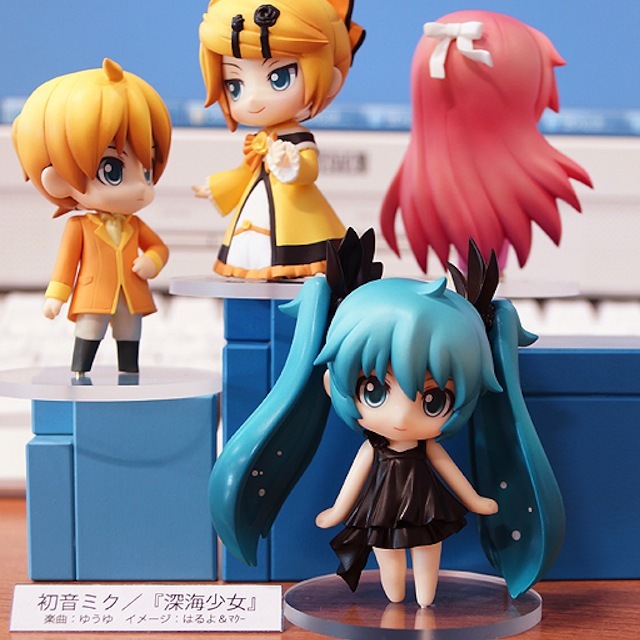 If we manage to reach 3939 tweets that include the #nenpuchi_mikusele hashtag, a special set of Twitter skins including a background, icon and header image will be released for everyone to enjoy! 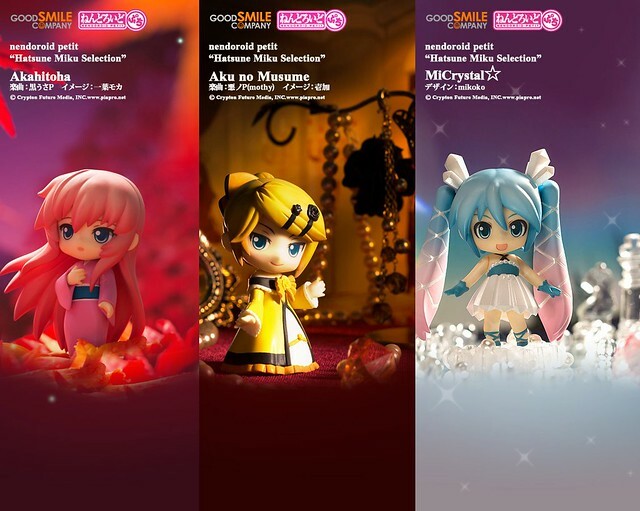 … and yesterday, it has reached more than 2000 tweets, so GSC has decided to release 3 out of 6 Twitter themes (or skins, as they called it) to be used to decorate your Twitter profile page. Well, what are you waiting for? 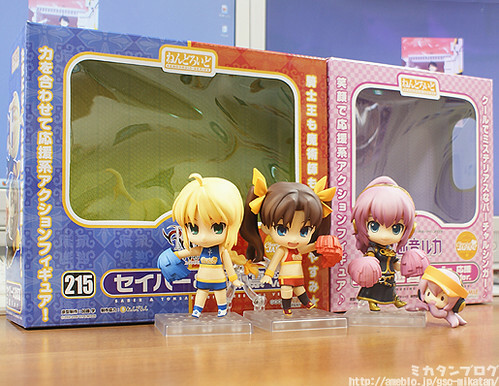 Head directly to the source page to download the cute Twitter themes. 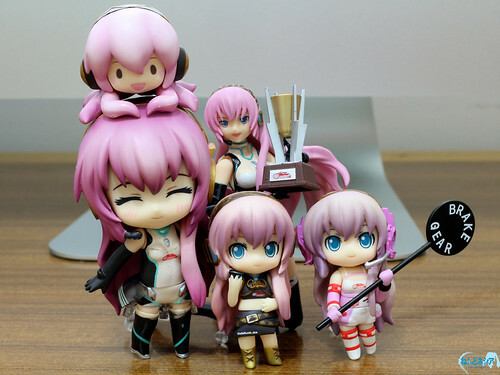 Since I saw Nendoroid Petit Racing Luka: 2010 version from the Racing Petit set back then on 2010, I have been dreaming to see Racing Luka in a regular-sized Nendoroid. 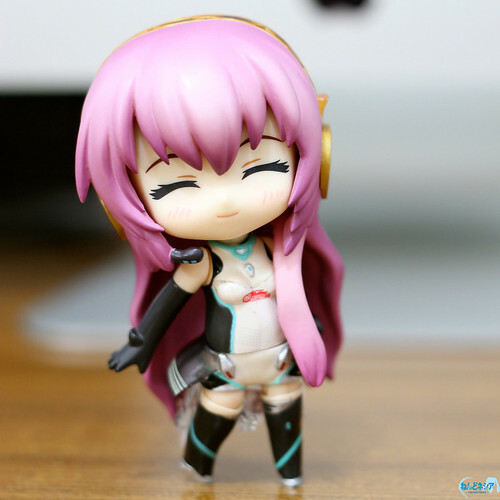 Well, it seems that someone is also thinking about the same thing, so there we have it: a custom Nendoroid Racing Luka: 2010 version. 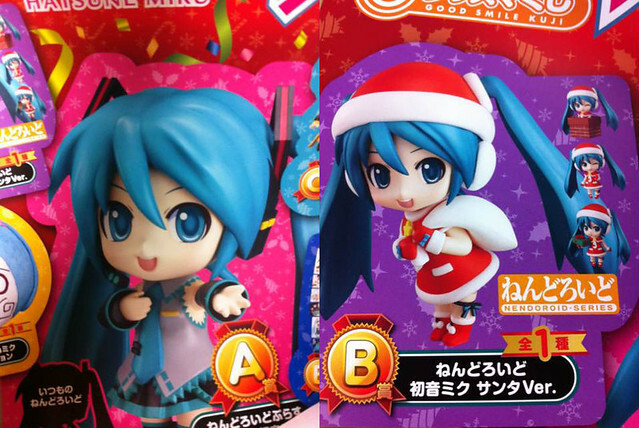 I guess her body is modified with Nendoroid Racing Miku: 2010 version as the base design. 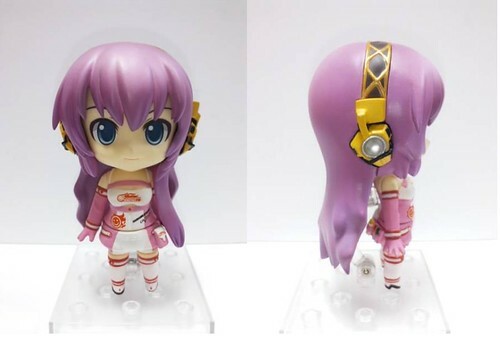 Apart from the pink-themed outfit, it seems Luka’s headset has also been modified to match the Petit design. 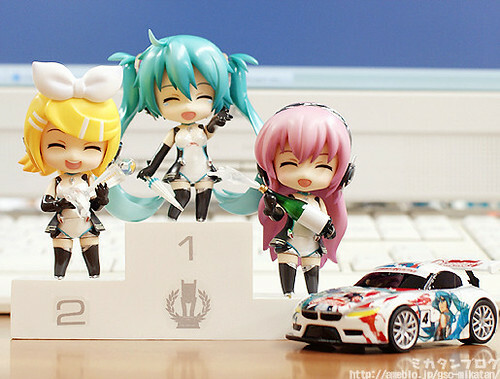 Mikatan has finally announced Nendoroid Petit Racing Miku: 2011 version officially today. 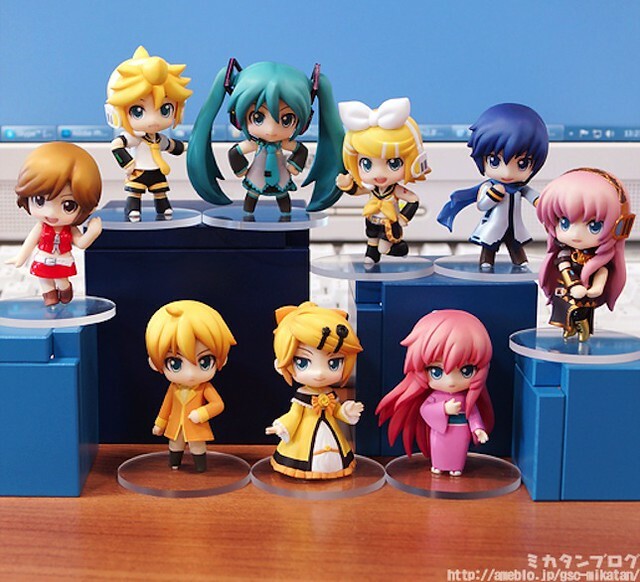 Similar to the previous racing-themed Vocaloid Petits, this set also has Racing Rin and Luka to accompany Miku.